A mob of 50 Muslims attacked and beat a group of Christians protecting their church in Pakistan, breaking the arm of a 10-year-old boy in the process. International Christian Concern said the attack occurred on Aug. 2 at Waran Chak Balyana village in Kasur, and was sparked by a church property dispute. Bashir Masih, one of the victims, explained that the Muslims, led by a man named Mukhtar Ahmad, wanted to take control of disputed land, where close to 40 Catholic families are building their church, called St. Mathew's. The Christian families have been constructing the church using their own money, but Ahmad has been targeting them by trying to cultivate the land, and by making derogatory remarks against the church. After another such dispute on Aug. 2, Masih said, "Ahmad's armed companions attacked the Christian men, women, and children with arms and sticks. They left two seriously injured and other with minor injuries. The mob stoned the under construction church as well." The two seriously injured youth included 18-year-old Anand Masih, who needed eight stitches on her lips, and 10-year-old Sagar Masih, who needed medical treatment after his left arm was broken. Another local, who wasn't named, accused police of refusing to register a First Information Report against the Muslim group. "When the Christians complained [to] the police about the attack, the police officials ordered them to keep quiet and avoid mentioning it as a religious issue. ... The police were unfair in the matter," the local said. 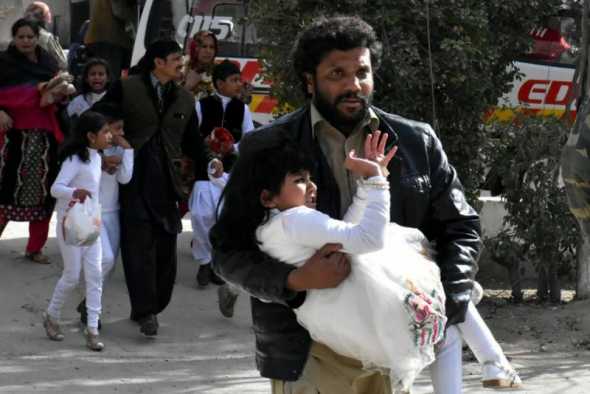 Muslim mobs have injured Christians in attacks on churches and services on several occasions this past year, including back in March in the Sahiwal district of Punjab province. Twenty Muslims with axes and sticks attacked a morning service at the Pakistani Gospel Assembly church, severely beating a number of the men, while some of the women were slapped and children were kicked. Christian women often bear the brunt of religious-based violence in Pakistan. In April, Pakistan Today reported that a 25-year-old believer from the Punjab city of Sialkot died after she was set on fire for refusing a Muslim man's marriage proposal. The horrific attack left the woman, Asma Yaqoob, with burns covering 90 percent of her body. Doctors' efforts were not enough to save her, despite her family traveling hundreds of miles to find good treatment. "They did everything they could possibly do. This family will have a lot of trauma to work through and they are in shock. 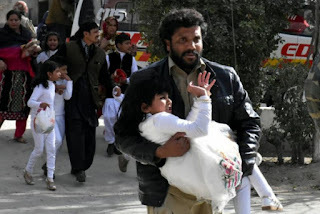 It is hard for anyone to see the life of a loved one so young and full of talent snuffed out," British Pakistani Christian Association officer Mehwish Bhatti said at the time. Shamoun Qaiser, a former legislator, told ICC about the latest attack, "The government officials think that religious freedom means celebrating Christmas and Easter eves only, however it's much more than going to churches and celebrating events." Qaiser added: "During [the] last decades, our social fabric has been torn in such a way that the space for religious minorities has been reduced. Our kids in schools face discrimination on the basis of religion. The church [property] graveyards are often grabbed with impunity. One could only hope for the good time. However, attacking a poor and downtrodden segments of the society should be condemned."